I first started this post in reaction to 6th March’s Daily Wail Mail article, social workers arrived at hospital to take woman’s baby while she was in labour. A mother is demanding an apology from social services after her baby was taken away from her as soon as she was born. Kelly McWilliams, 36, claims that social workers arrived at her bedside while she was in labour and took her newborn daughter Victoria into foster care. I’d already posted about this subject before (AMBER ALERT! Missing child snatched!) and wanted to look at it in more depth. However, due to my entire crapness at getting things done, the post has been sat here as one of my many unfinished drafts. Friday just gone (5th April), there appeared yet another post about a Social Services (Staffordshire, again) snatching (literally) a newborn from its mom. This time, it’s an extremely harrowing video showing the newborn being snatched from its screaming mom’s arms. Sadly, this is the same family as appeared in my previous reblog where the SWers were waiting in the delivery suite for the mom to give birth so they could take the baby away from its mom straight away. 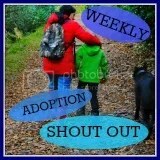 While I, like all the other adoptee advocates I know who’re campaigning for changes to the Institution of Adoption, realise there are people out there who’re harmful to the wellbeing of the children they create, I am absolutely convinced that unless a newborn is in immediate physical danger from its mom, then it should not be removed at birth. Heck, it’s even advised that puppies are kept with their moms for up to the first eight weeks, or else there is a greater risk of separation anxiety, yet Social Services (and especially Staffordshire) – despite all the evidence of the need of babies for THEIR OWN mothers – in their accumulated ‘wisdom’ are happy to wade in and disrupt those very important early weeks. SWers cite “concerns” for the baby’s welfare for actions such as this, yet unless those “concerns” are that the mom will be an IMMEDIATE threat to the baby’s physical safety, these SWers are acting contrary to scietific research that demonstrates why newborns should NOT be removed from their mother. I’d already done the following research when I first started this post, and so because I’ve got to go out, and because I want to get this done in time for inclusion in this week’s #WASO hosted by The Boy’s Behaviour, I’m leaving you with the list of posts that I’d already filtered through that relate to those important first weeks in which yes, even people NEED THEIR OWN moms UNLESS that mom is going to be an immediate physical danger to the kid. Ms McWilliams, from Scawthorpe, Doncaster, says that she was separated from her baby for three months and allowed to see her for only six hours a week under close supervision until a court ordered that Victoria should be returned to her mother. Found some videos by Dr. Thomas Verny on prenatal and perinatal psychology. I found them very interesting. It’s too bad this stuff isn’t common knowledge. Paul Roberts and his wife Asha had their one day old baby taken last week by Staffordshire Social Services personnel assisted by the police. He spoke to Brian Gerrish about the circumstances on today’s UK Column Live. In an effort to protect their own villainous behaviour, Staffordshire SS attempted to get the first video in this post banned. Thankfully, as reported in the much maligned Daily Fail, I mean Wail, um Mail, sensibility has prevailed, and it’s now no longer banned.